Why the perfumes are cheap and what are US Authentic perfumes? US Authentic perfumes are for the people who wants to smell fresh while saving money. We buy these perfumes in bulk order and most of the time in advance from importers. In Philippine perfumes, we do not use the term class a or class b. We use the country of origin. US Authentic is the term used by our suppliers. Of course they wont tell us the exact manufacturer or we will go straight to them. As per our testing we found out that US Authentic perfumes are the best product to offer. It has a branded quality with reasonable price. If you want to smell fresh while saving money you can buy here. What are the difference between US Authentic and perfumes in the Mall? Do you sell perfume testers? No, we do not sell perfume testers. Why? It does not fit to our values of selling products that are Not For Sale. However, since we get these testers for FREE we will also give these for FREE. Watch out for our monthly/weekly giveaways, subscribe to our email newsletter to be the first to know our raffle promo. I want to receive my order by someone else, what is your requirements? For your security, the item will not be turned over unless the named recipient is present to receive it. Or issue an Authorization Letter like the sample below. This is to authorize the bearer of this letter, NAME OF RECIPIENT, to accept my package from SELLER NAME. Just let someone else pay it and we will turn over the order. We accept payments from CheckMeOut, Credit Card, Online Banking and Nationwide Cash on Delivery. Upon successful payment of your order, you will received a confirmation email or SMS that we have received your payment and another email or SMS that your package is out for delivery. JRS and LBC usually delivers within 1 to 5 working days. Can you deliver my perfume in my office? Yes, just input your office address upon checkout. Enter the complete address along with your full name upon checkout. In case you want other person to receive, please advise to present their valid ID. To simplify and for the convenient of the customers, we offer free delivery on any perfume products in any part of the Philippines. 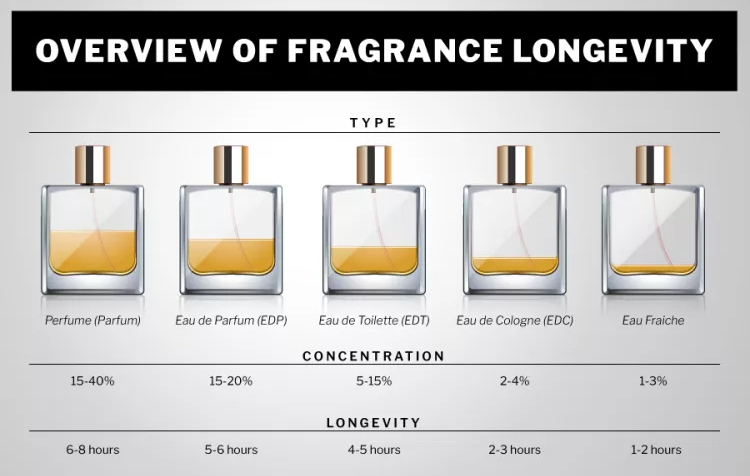 What are the different types of fragrances?